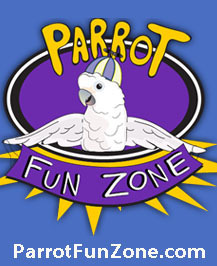 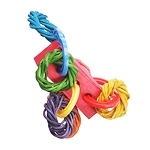 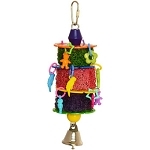 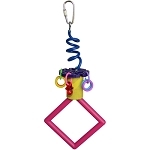 8.5 x 3 x 1"
Your small bird will get plenty of boisterous play with the Horsin’ Around hanging toy. 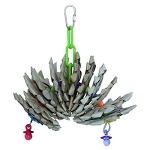 It’s crafted with brightly colored plastic pipes, nickel-plated bells and acrylic rocking horse charms. 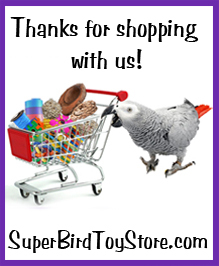 The rocking horses are translucent will catch the light and are sure to attract your bird’s attention. 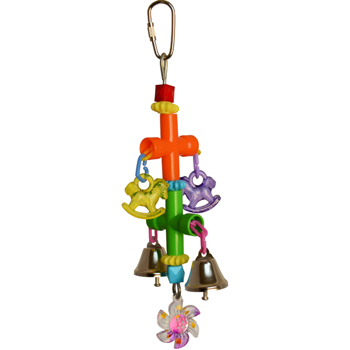 When your bird beaks the charms, the bells tinkle and the whole thing spins! 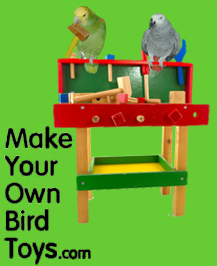 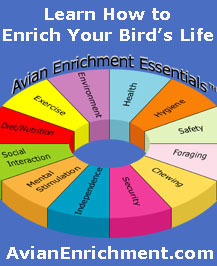 Hang Horsin’ Around in the cage and enjoy the sights and sounds of your bird entertaining itself.